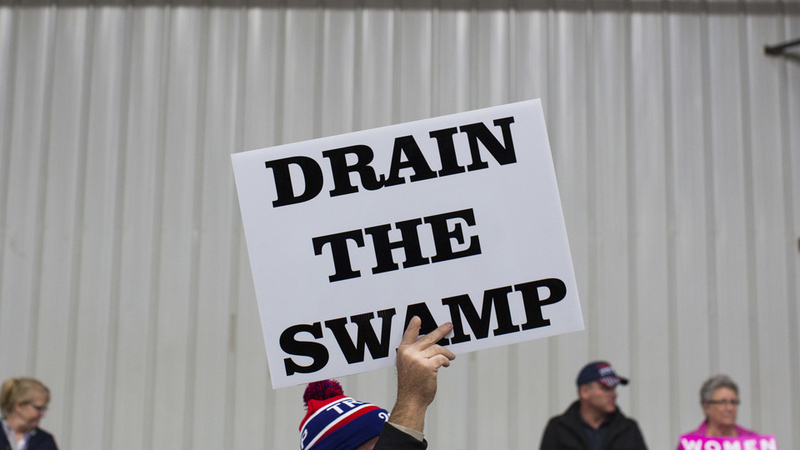 Donald Trump famously promised to “drain the swamp” in Washington D.C., as a metaphor for corruption in the nation’s capital led by the first Black president. It was also a color-coded insinuation that President Barack Obama, by most accounts one of the most transparent and ethical presidents in our age, and the administration he led, were corrupt. Trump’s “drain the swamp” also fits well with his and his party’s vicious “jail Hillary” campaign slogan and their long-standing avatar of “tax-and-spend Democrats,” which is accompanied by attacks on programs that help people, including brown and black people. 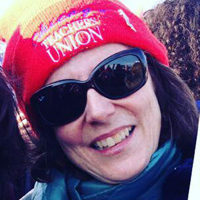 At its heart, the “drain the swamp” narrative was a noxious mix of racism and misogyny designed to cover-up the years of Republican obstruction and destruction in Congress, which resulted in government shut down, a stolen Supreme Court nominee and frustrating any meaningful progressive reform, such as immigration, pay equity, raising the minimum wage and environmental protection. Instead, the phrase set Trump up as the populist strongman, who can get things done and clean up the mess left by those Washington elites, especially, as the logic of racist coding goes, that “elite” man in the White House. But what the ethics drama showed is that victories can be won during the upcoming battle around Trump’s reptilian appointments. The Washington Post reported that the Senate Democrats plan to fight eight of Trump’s proposed Cabinet appointments. Number one on their list is the proposed secretary of state, Rex Tillerson, who embodies why peace movements use the slogan, “No war for oil.” But the CEO of Exxon-Mobil, like Trump and his tax secrets, told the Senate Foreign Relations Committee that he would only provide “tax return information” for himself and his wife for the previous three years, hobbling a thorough ethics review. Other Trump picks on the Democrats’ list are: Sen. Jeff Sessions, R-Ala., for attorney general; Rep. Mick Mulvaney, R-S.C., to head Office of Management and Budget; Betsy DeVos, for education secretary; Rep. Tom Price, R-Ga., for Health and Human Services; fast food magnate Andrew Puzder, for labor secretary; Steve Mnuchin, as treasury secretary, and Oklahoma Attorney General Scott Pruitt, for the Environmental Protection Agency. And speaking of eco-systems, swamps have gotten a bad rap. They are actually “the most valuable ecosystems on Earth.” Among their many critical roles, they absorb excess water thereby helping to prevent floods; they filter the chemicals and fertilizers that get into water systems thereby helping to purify water. That is probably why swamps are called wetlands now, a word with less sinister baggage, more environmental value. Those environmental protections came from the massive environmental movement protesting Love Canal, acid rain, massive oil spills and other ecological disasters. Some 20 million people rallied on April 22, 1970, to protest. Richard Nixon was forced to respond, and through executive order, proposed the establishment of the EPA. April 22 is now recognized as Earth Day. That may serve as a lesson for what it will take to tie the hands of the pickpockets ready to assume power on Jan. 20. Perhaps it is time to see the swamp, not as a metaphor for corruption, but as a vital piece in the ecology of democracy and role of government.